We were part way through sharing our descriptions of nearly 20 dishes for our “cold weather comfort food” gathering and we were collectively shocked and dismayed that not one of us had made mac n’ cheese. Somehow we had all thought that someone else would surely be making it. Then there was a knock at the door, and two more newcomers entered the kitchen. One was carrying a crockpot. It looked heavy. I strained to see through the steam-shrouded lid into a bubbling sea of orange. “Is that Mac and Cheese?” I demanded as a way of greeting. The boisterous cheer went up, and our new members received an immediate understanding of what our demure little club is all about. Namely, EATING ALL OF THE THINGS. A massive thanks to Jean for hosting one of our largest gatherings at her house and allowing us to take over both her kitchen and living room. One of my favourite things is Jean’s collection of beautiful tea cups. Despite feeling rather clumsy when I try to drink from them (my paws are made for mugs), I adore tea cups, especially when then are displayed together like the little works art that they are. Despite there being more than 20 dishes, there wasn’t one duplicate! Also, thanks to the lovely Laura, we were among the very first people to sample cider from Summerland’s brand new Dominion Cider Company. Oh, my it was good. Talks are in the works to have a meetup there is 2016. Woo-hoo! Cook macaroni according to box directions; drain. Place cooked shells in a 5-quart lined or greased slow cooker; add margarine and stir. Cover. In a saucepan over medium heat, combine soup and the half & half, stirring until smooth and creamy. Add the eggs and dry mustard; stir. Add cheese and stir until melted. Sauce should be smooth. Pour cheese sauce over the shells in the crock. Cover & Crock on LOW for about 2-4 hours. Season with pepper or top with bacon bits, if desired, before serving. Melt 3 T. butter in a saucepan over medium-low heat; add 3 T. of flour and whisk until smooth. Remove from heat and whisk in 1 cup of milk. Return to the saucepan and bring contents to a gentle boil. (keep whisking until thickened) Add 1 cup of shredded cheddar cheese and stir until melted. Salt to taste. Use this in replacement of the Condensed Cheddar Cheese Soup called for in this recipe. NOTE: It is important to know that I like to add spices outside of the recipe. I used sweet chili cheese in the soup recipe with old sharp cheddar and some laughing cow cheese. I also added our homemade dried hot peppers, homemade dried garlic, some salt and pepper, and some paprika. There is always one dish that I fail to get a decent photo of. I chalk it up to being so beside myself with excitement that I can’t hold the camera straight and it turns out blurry. 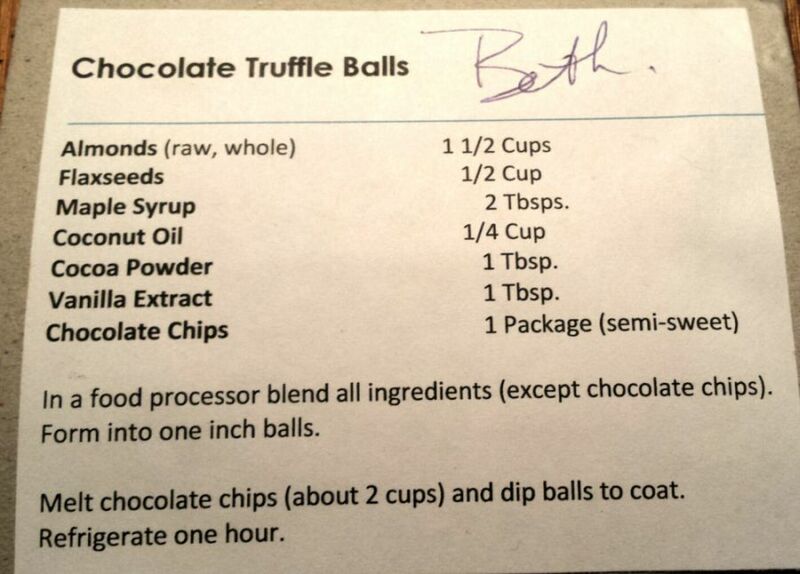 Several people have asked for this recipe since our gathering. Needless to say, there wasn’t much left at the end of the evening. Enjoy! Mix all ingredients together. Serve nachos. NOTE: Tastes better when it sits for a couple of hours or overnight. Also you may add regular salsa however it makes the salsa watery. Cold weather just isn’t the same without some good, buttery shortbread to help create extra body insulation. Blend butter and pumpkin spice until smooth in a large bowl using an electric mixer set at medium speed. Slowly blend in the icing sugar. Scrape down the sides of the bowl and combine thoroughly. Add flour and mix at low speed until well blended. Pat dough into an ungreased cookie sheet. Alternatively you can roll out the dough so that it’s about ¼ of an inch in thickness and cut them to your desired shape. I placed parchment paper on my cookie sheet and rolled my dough into flattened balls. Bake for about 20 minutes, or until just done (slightly golden in color). Do not let it get brown. Remove from oven and sprinkle with colored sugar or other sprinkles if desired. Cut into squares if you haven’t pre-cut them and place cookie sheet on wire rack to cool for 10 minutes. Remove from pan and enjoy! She may have brought a massive pot of this curry, but in the end there were no leftovers. Nothing. Barely a grain of rice. We ate the lot. Apply mixture of red chilli powder, lemon juice, and salt to the chicken pieces and set aside for half an hour in the refrigerator. 1/2 tsp garam masala pwd. 2 tsp mustard oil (use olive oil if you cannot find mustard oil). Hang the yogurt in a muslin cloth (I use a flat bottomed coffee filter) for 15 – 20 min to remove extra whey. Then add the ginger and garlic pastes, chilli pwd, salt and garam masala pwd to the yogurt, mix well and apply this marinade to the chicken pieces and place in fridge for 3 – 4 hours. Preheat the oven to 400F. String the chicken onto skewers and cook in preheated oven for 12 – 15 minutes until almost done. In a med pan heat the 2 Tbsp. butter, add the green cardamon seeds and chopped garlic, saute for a few minutes. Add the chopped tomatoes and saute till tomatoes are plump and soft. In a separate small pan, heat the 3 tbsp butter, add the ginger paste and green chilli and saute for a few minutes till the mixture softens. Add this mixture to the tomato mixture. Add the sugar/honey 1/2 tsp kasoori methi and salt to taste. Cook for a few minutes and then puree the tomato mixture with a hand blender. When everything is completed pureed, add the heavy cream, simmer gently. Add chicken pieces off the skewer to the sauce and mix well. Taste for seasoning, add additional chilli pwd and salt if required. p.s. If the mixture appears too thick, thin it down with a little water. Welcome to our other new member Val, who seemed to know instinctively to include lashings of whipped cream with her cake. Smart lady. Pour the batter into the prepared pan and smooth the top with the back of a spoon or an offset spatula. Bake for 30 – 35 minutes or until a toothpick inserted into the center of the cake comes out clean. Remove from oven and let cool on a wire rack. If desired, frost with the Lemon Icing. Lemon Icing: Mix together the sifted confectioners’ sugar and lemon juice until smooth. (The icing should be thick but still spreadable.) Pour the icing onto the center of the cake and spread with an offset spatula. These were so decedent, owing mostly to Lori’s excellent decision to add obscene amounts of chocolate chips. The original recipe is from http://clinton2.nara.gov/WH/EOP/First_Lady/html/cookies.html and Lori made several adjustments, including adding 1 cup of dried cranberries, substituting butter for the shortening, and using jumbo chips instead of regular chocolate chips. Who brings not one, not two but THREE optional toppings for an already amazing soup? The lovely Dorthea, of course! This is one of those winter soups that makes everything right with the world. 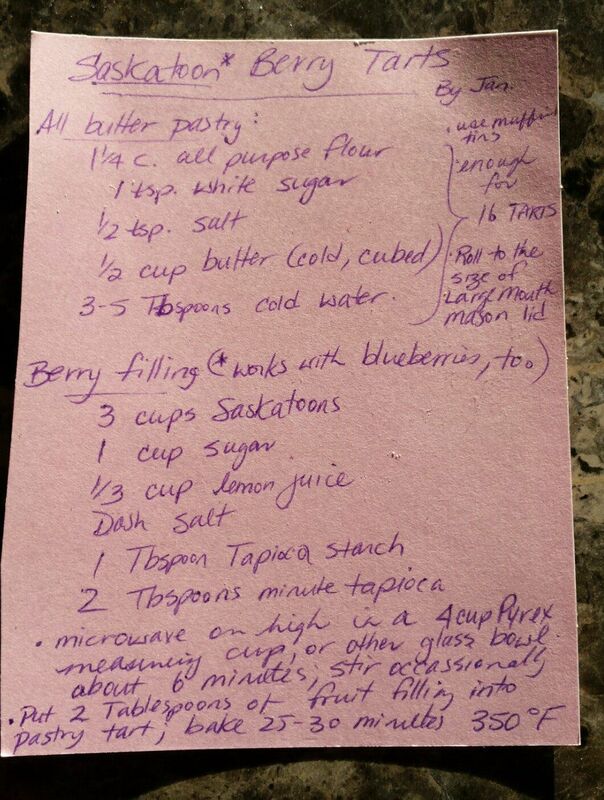 ½ cup large, unsweetened coconut flakes** I just used unsweetened coconut. 1. Heat oil in a large Dutch oven or heavy-bottomed pot over medium heat. Once the oil is shimmering, add squash, onion, garlic, curry paste, coriander, cumin, salt and red pepper flakes to skillet. Stir to combine. 4. Once the squash mixture is done cooking, taste and add a little more Thai red curry paste if it’s not quite flavorful enough for you. Remove the soup from heat and let it cool slightly. To use a blender to puree the soup: Working in batches, transfer the contents pan to a blender (do not fill your blender past the maximum fill line!). Securely fasten the lid and use a kitchen towel to protect your hand from steam escaping from the top of the blender as you blend. 5. Stir the lime juice into the blended soup. Taste and season with additional salt if necessary. Ladle soup into individual bowls. Use a spoon to drizzle coconut milk over each bowl, then lightly swirl the spoon through the topmost layer for a pretty design. Top the soup with toasted coconut flakes (or/and pumpkin seeds) and a sprinkle of chopped fresh cilantro. Just look at it. It’s cute as a button. If buttons were made of chocolate and awesome. Prepare a 12 cup mini cheesecake pan by greasing. Mix cookie crumbs, nuts, sugar, melted butter and cinnamon together. Place in the oven and bake for 15 minutes. The cheesecake will puff up a little in the oven and fall when you cool them. Remove from the oven and cool until set (about 30 minutes). Remove from the pans by pushing up each cup from underneath then sliding a knife between the disc and the little cake.